New houses are being built fastest in the places where they are most likely to burn: the wild fringe of urban areas, where neighborhoods are surrounded by canyons, hills or other open land covered in flammable vegetation. That’s the finding of a new study published Monday in Proceedings of the National Academy of Sciences. The problem is particularly bad in Southern California. Between 1990 and 2010, new houses went up twice as fast on the edge of developed lands than in the region as a whole. Riverside County leads the area with over 190,000 more houses built in high-risk areas during that time period, an increase of about 75 percent. 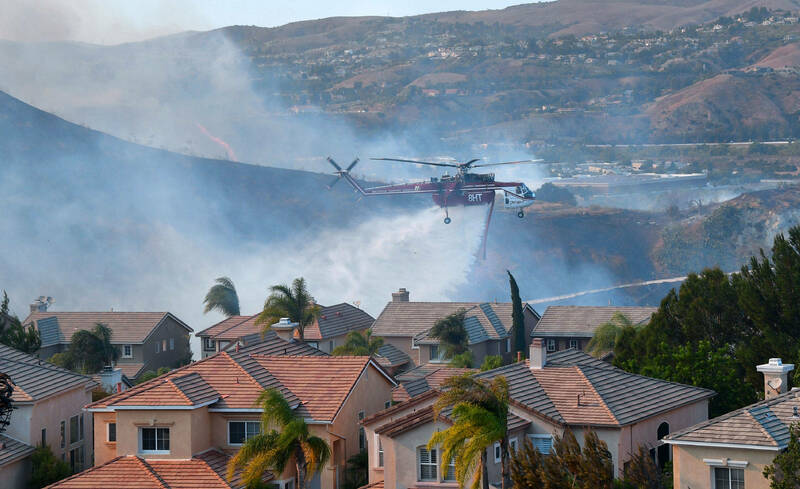 “Southern California is ground zero for fires in the wildland-urban interface,” said lead author Volker Radeloff, a forest ecologist at University of Wisconsin-Madison, using the technical term for the area where homes meet nature on the city’s edge. "With these numbers of homes increasing, the problem is going to get worse." The reason it is so dangerous for people to live in the wildland-urban interface is the same reason people want to be there in the first place. But people living in homes buried deep within canyons, perched on hillsides or abutting national forests are more likely to start fires. Sparks thrown from roads, power lines, unattended barbecues or cigarettes have more fuel to burn in these areas. In California, it is people who are responsible for nearly every single wildfire: 95 percent, according to a recent study. And after houses burn, people generally want to rebuild. 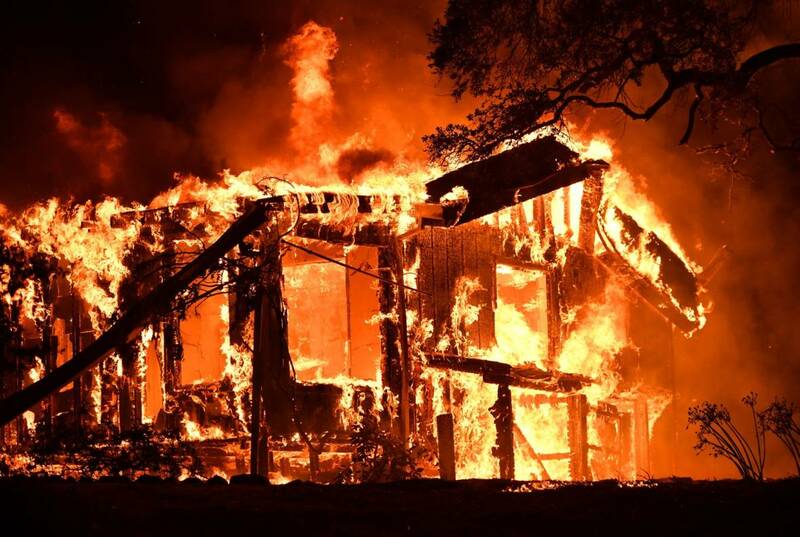 Radeloff found that between 1990 and 2010, the number of new houses constructed in the footprint of old wildfires increased 62 percent, outpacing the average U.S. housing growth rate of 29 percent. “That’s a stunning growth rate,” he said. Indeed, people are already beginning to rebuild in the footprint of last year’s destructive Thomas and Wine Country fires. Some are in areas designated “high fire hazard severity zone." Those are places the California Department of Forestry and Fire Protection has determined most likely to burn. But new structures there have to be built according to modern building codes designed to make houses more resistant to embers and flames. If the homes that burned are outside those zones, as many houses in the footprint of the Wine County fires are, they don’t have to comply with state codes. But if people are exacerbating wildfires by building in places prone to them, then people can fix the problem, said Jon Keeley, a scientist with the U.S. Geological Survey who researches wildfires and is not affiliated with the paper. Some Southern California counties, like Ventura and San Diego, have strict enforcement of vegetation clearing rules, and will fine homeowners who do not comply. Rasker said more policies like these are needed to reduce the risk of living in the wildland-urban interface. Ultimately, he believes the crux of the problem is that decisions about where to build houses are made at the local level, while the consequences of those decisions are largely borne by state and federal agencies who foot the bill for firefighting costs.